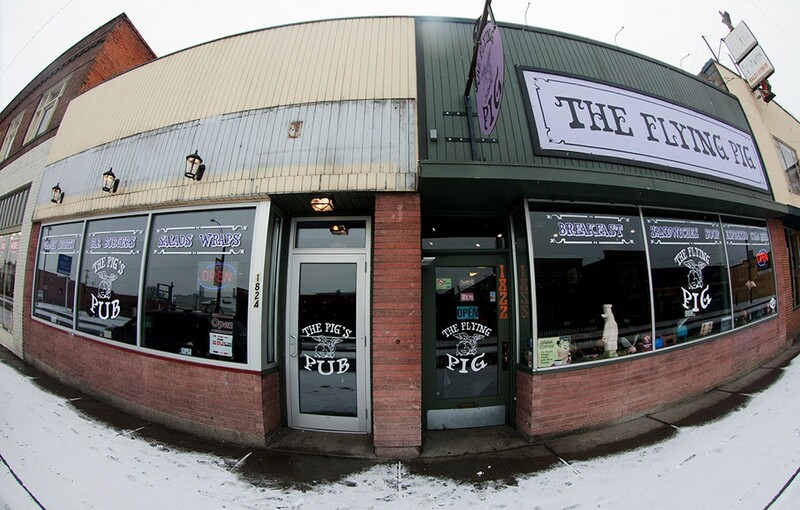 After several years and a recent expansion, The Flying Pig on East Sprague is closing its doors. Its final day will be Saturday, March 29. Erin Rauth, who owns the restaurant with her husband Jacob, confirmed the news this morning and says it’s a matter of getting back to family. “We gave it our best shot for three and a half years, and now we’re going to let someone else have a go at it,” she says. Known for its breakfasts and pig decor, the International District sandwich shop and cafe appeared to be on the upswing in recent months. The menu grew after the kitchen was expanded to include a grill and fryer, and the owners took over the former Rainbow Tavern next door to operate a full bar — the Pig’s Pub — after hours. Outside the Flying Pig and Pig's pub this winter. We appreciate your patronage over the past three and a half years. Unfortunately the time has come for us to move on to the next phase of our lives. We will be closing The Flying Pig doors forever on Saturday March 29th at 2pm. 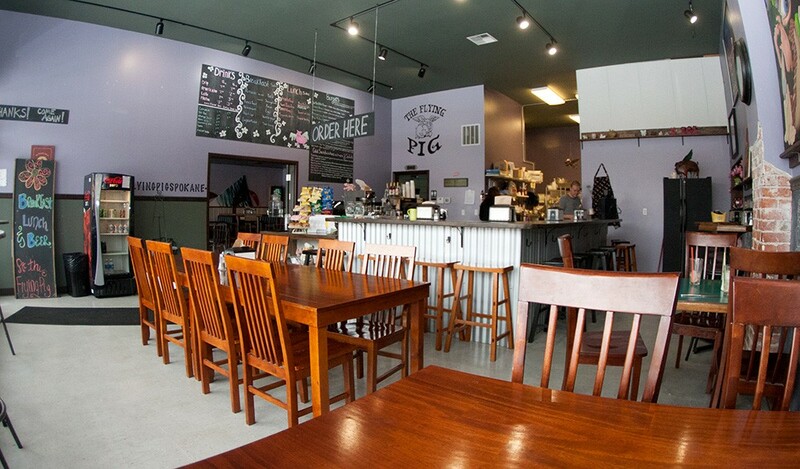 Come in before then for your last fix of Flying Pig food! Thank you all so much. We wish you all the best of luck! This has been a great experience for our family. Two new places with mouthwatering pedigrees are doing breakfast and lunch a little differently.